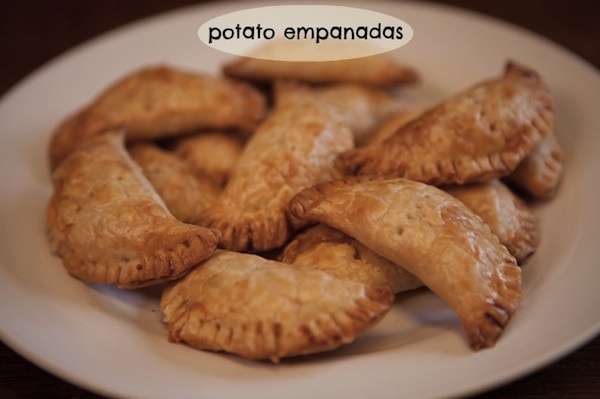 I’m always craving a good hearty empanada, something I could sink my teeth into and relish every minute between bites. I have those moments where I stare into my empanada as I softly devour it, knowing the end is near. BUT there is always another one waiting for me on the plate until they are all gone. These potato empanadas unfold a new level of love before me all neatly wrapped in a pie crust dough. Have them for dinner tonight or take them on your next picnic. Either way, here is a simple way to make these tasty little gems using left over mashed potatoes. Watch the video to see how. Disclosure: This video/post is sponsored by the Idaho Potato Commission (which I am very proud the be associated with). The recipe and opinions are my own. Thank you for watching. I love how easy and delicious this recipe is!